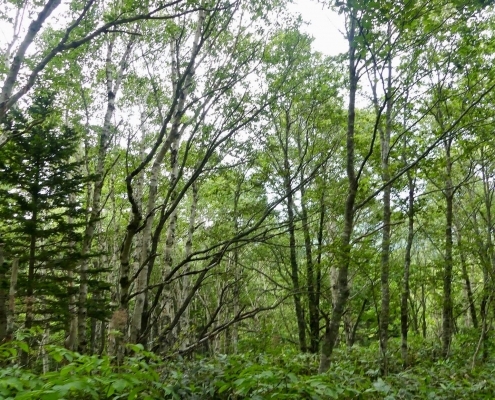 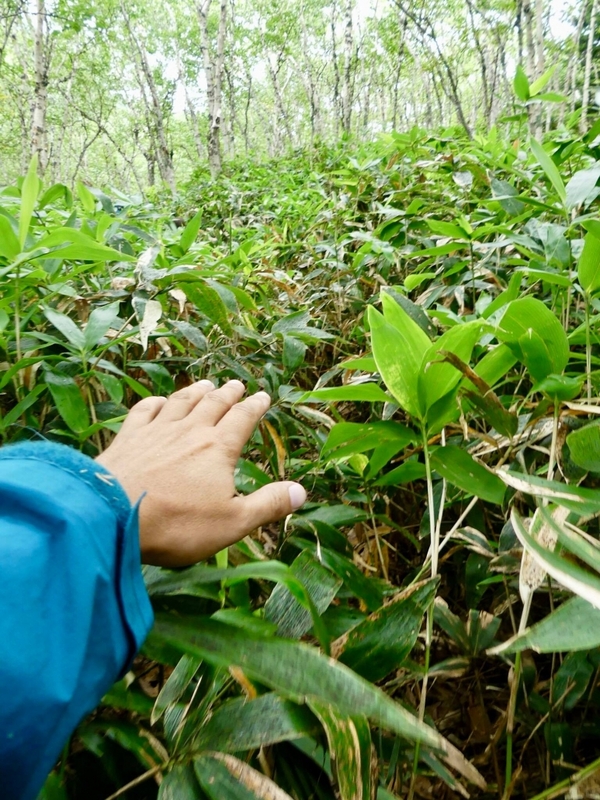 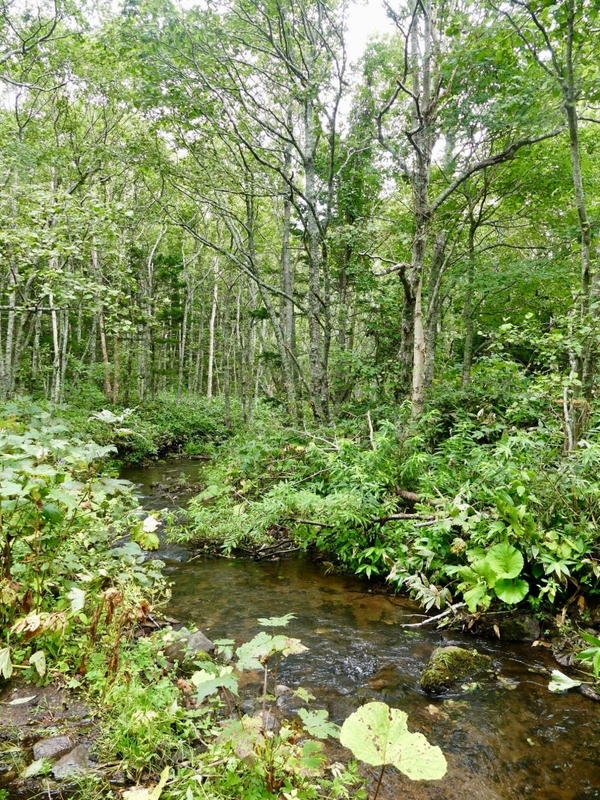 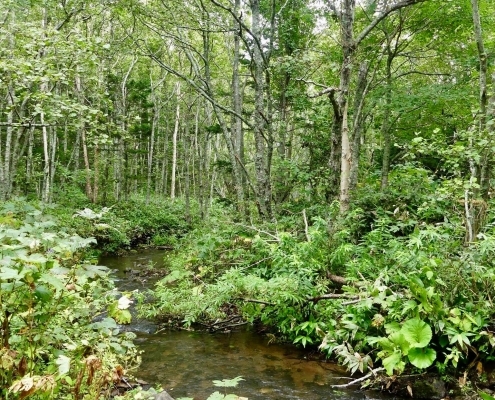 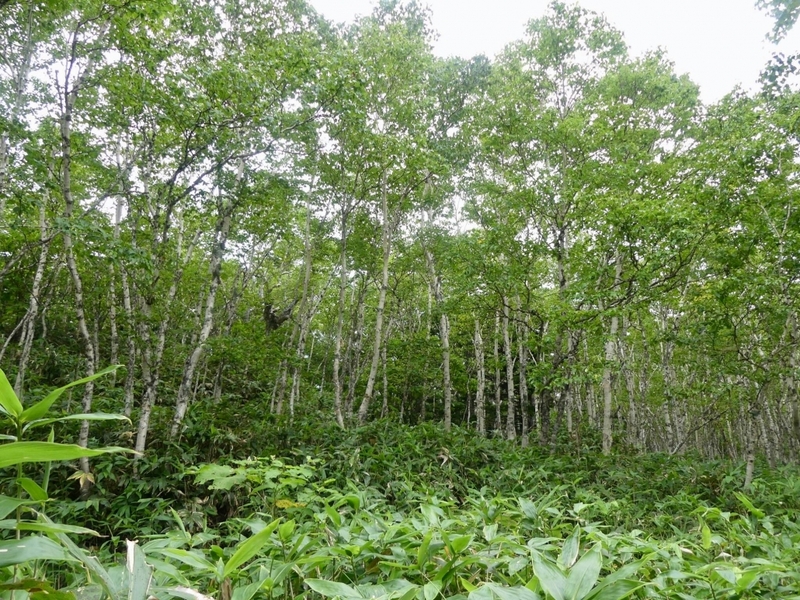 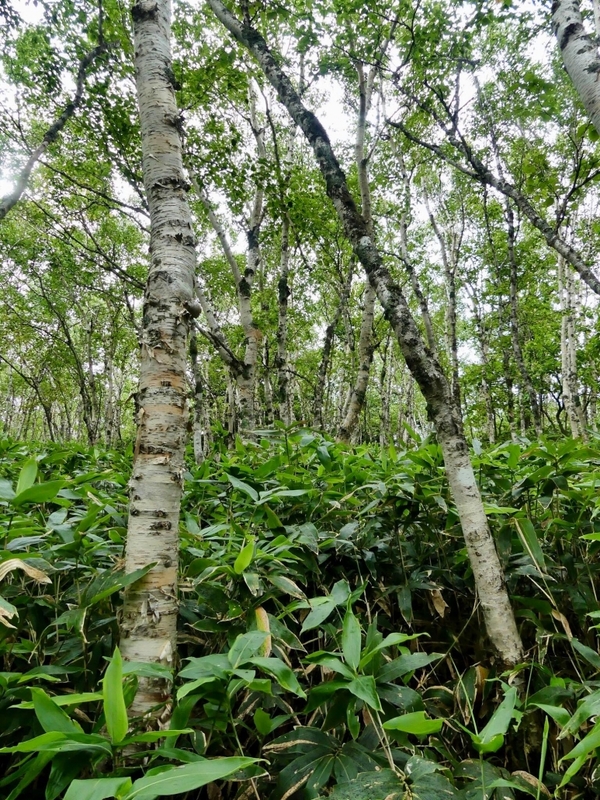 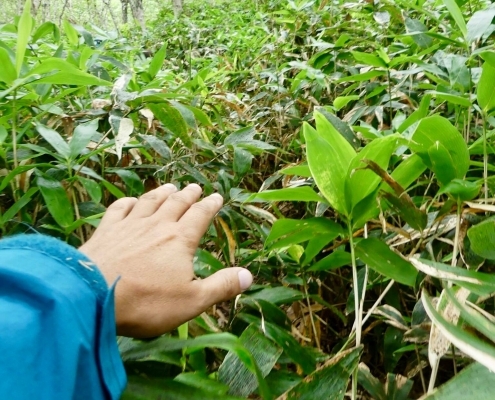 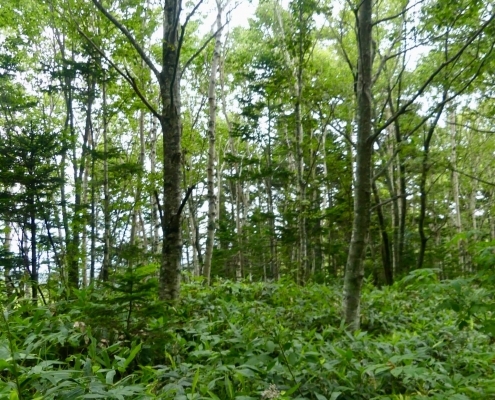 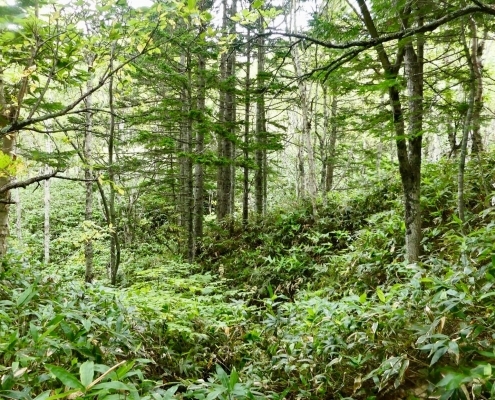 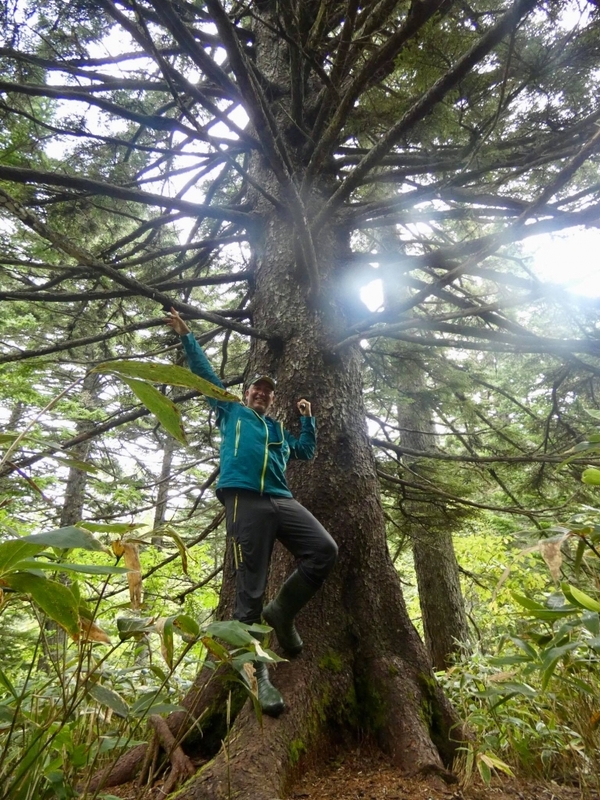 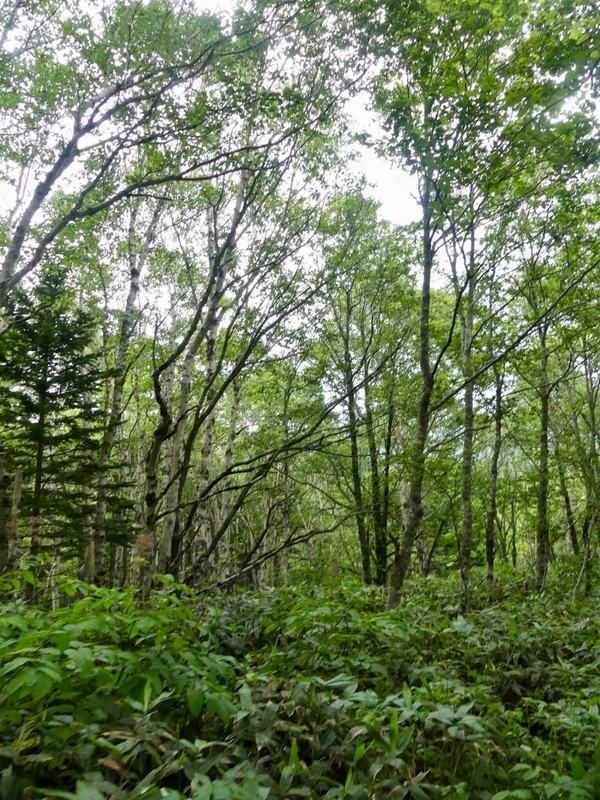 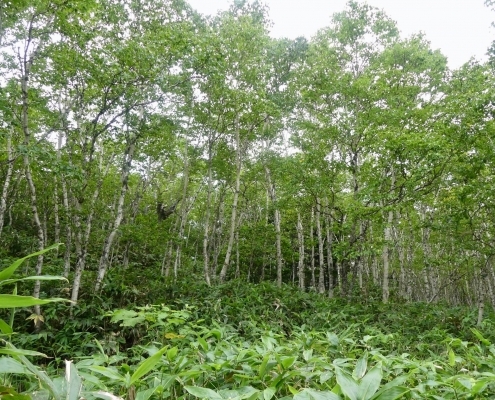 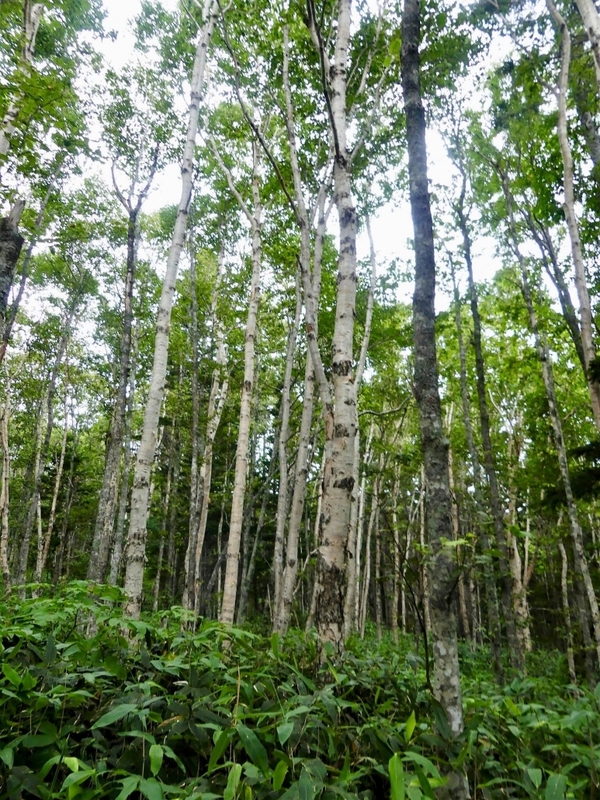 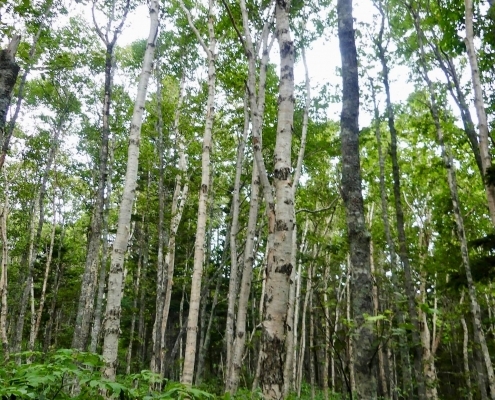 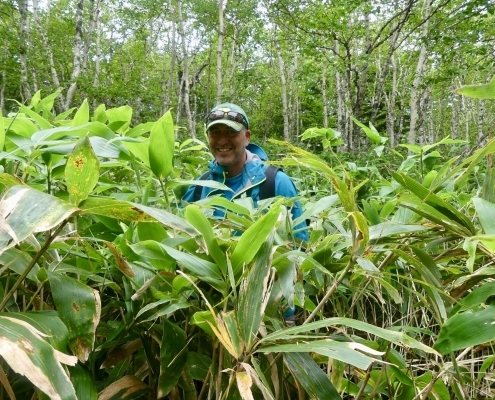 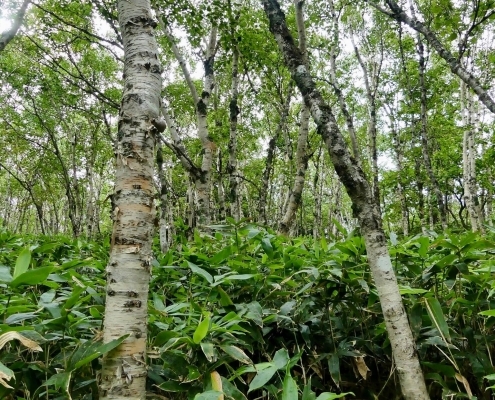 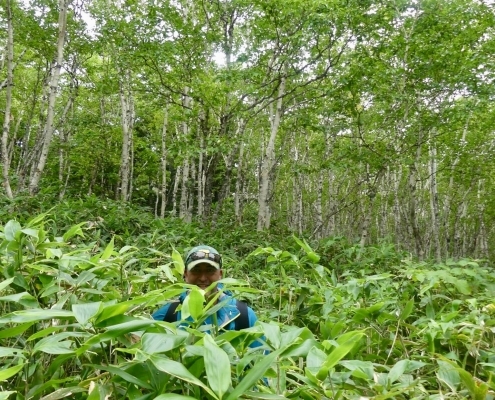 Pretty much all ground in the forest is covered by thick Kuril Bamboo aka Bambuchnik (Latin – Sasa kurilensis). 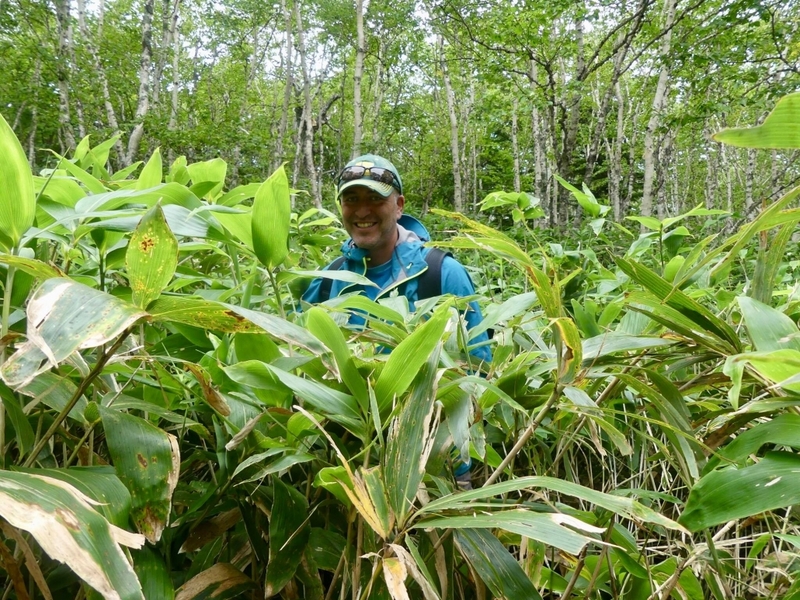 This is an endemic species of bamboo that grows only in Kuril Islands and Hokkaido in Japan and is adapted to cold climates and can withstand freezing and snow. 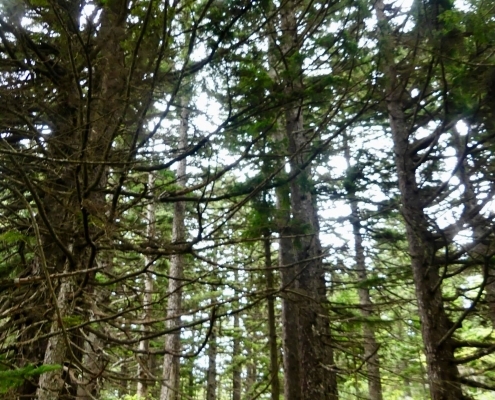 It doesn’t grow higher then 2m/7ft but it borderline impenetrable when thick. 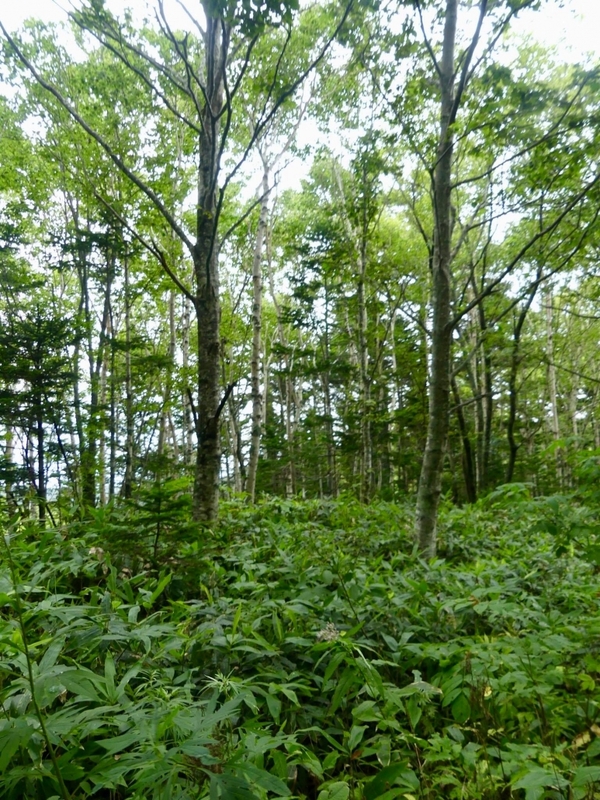 It blooms once in 7-10 years, but spreads like fire even without blooming. 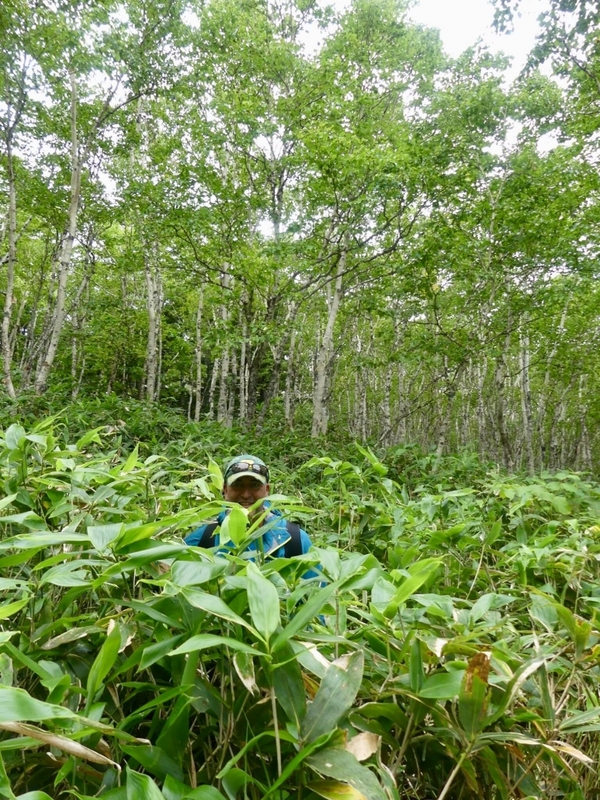 We hiked though some of the tallest and thickest Kuril Bamboo on Kunashir (felt like being Viet Cong guerrillas), it slaps you all over and you gotta walk carefully not to tumble over small roots. 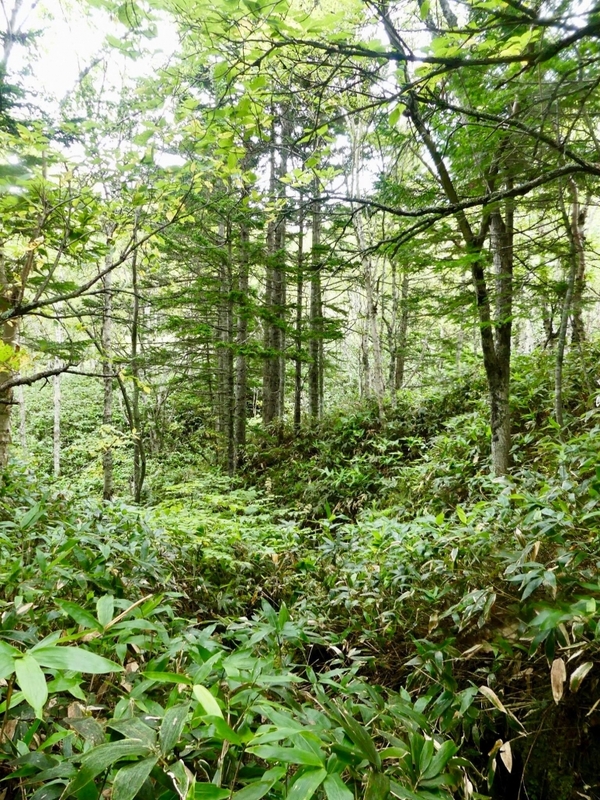 If you are a shorter person – you can pretty much give up hiking here.